An assistant manager at a big box store is passed over yet again for a promotion because she doesn't have a college degree. When her godson makes her a fake resume and posts it online, it lands her an interview at a high-end cosmetics company where she is hired and must now use her life experience to prove she can make it just as effectively as her college-educated co-workers. Whoa there! We've never seen movies about people who wish street smarts equaled book smarts! ~*What a new concept!~* "Second Act" is directed by Peter Segal, who has directed such films as "50 First Dates," "The Longest Yard," and "Grudge Match." 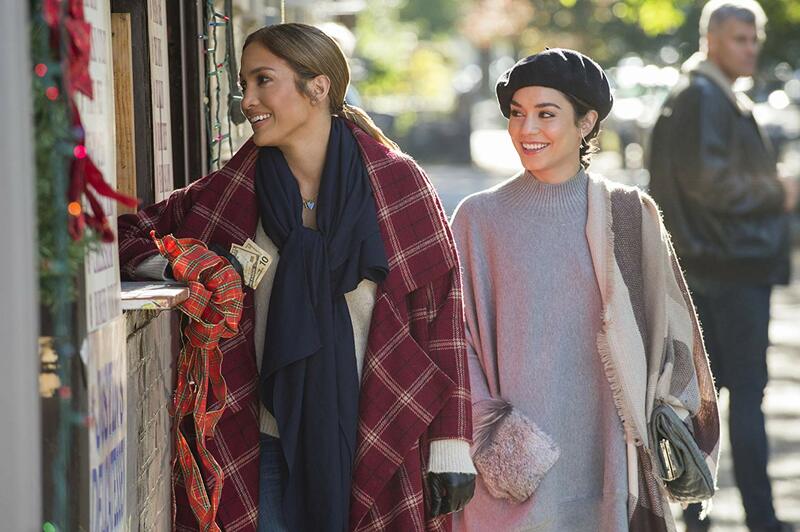 This story is about a 40-year-old woman named Maya (Jennifer Lopez), who works as an assistant manager at a big box value store where she has been employed for the last 15 years. She is expecting to be promoted to store manager, but she gets passed over yet again for a promotion due to her lack of formal education. She lets her frustrations be known at her birthday party where her best friend Joan (Leah Remini) and godson Dilly (Dalton Harrod) commiserate with her. Meanwhile, Dilly tries to give Maya an opportunity by making her a fabricated resume and phony Facebook page touting the universities she did not attend, the trips she never took, the jobs she never had, and the chances she was never offered. This lands her an interview at a cosmetics company called F&C, and subsequently, she gets hired as a consultant. Maya now has to prove her skills and create an all-new skincare product that is 100% organic so she can beat out her competing team, headed by the boss's daughter Zoe (Vanessa Hudgens), who is modifying an old product. Meanwhile, Rob (Freddie Stroma), one of the heads of the other team, digs into Maya's resume and tries to prove she isn't who she says she is. Contrary to our sarcastic comment in the previous paragraph, we have seen movies like "Second Act" before, films that depict undereducated people getting jobs in white-collar businesses only to excel in their position while other people try to tear them down. Some examples include "Don't Tell Mom the Babysitter's Dead," "Opportunity Knocks," and "Trading Places," and now, "Second Act" can be added to the list. Jennifer Lopez's Maya must prove to her co-workers that she is just as worthy as they are to be in her position despite not having the proper educational background. This time around, an extra layer of sappiness has been added to the equation, along with an amazingly improbable occurrence that actually undoes much of the message the movie sets out to convey. Not only is this unlikely event utterly ridiculous, but it is also painfully predictable and eye-rollingly ham-fisted. 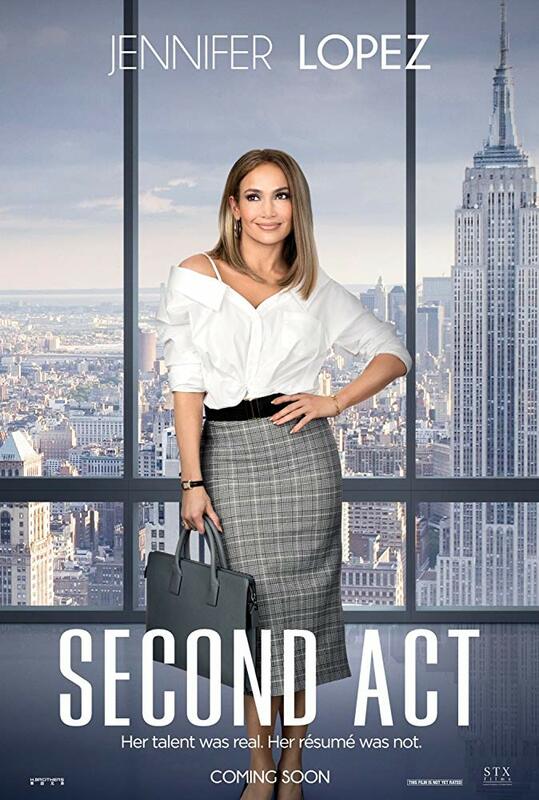 Beyond this vexing plot point, "Second Act" is billed as a "romantic comedy," and quite frankly, it's not much of either. Most of the humor didn't work for us. There are so many moments where jokes are obviously trying to be set up, but they fall flat nearly every time. Most of the running gags, like the one where Leah Remini's young son never stops cussing, are far more annoying than entertaining. The romance feels controlling, unearned, and one-sided, and the emotional aspects are both contrived and disingenuous. Also, characters act in ways that don't make much sense, and by the end of the film, the person playing the primary antagonist winds up being wholly unnecessary to the story. "Second Act" follows its expected plot from one barely tolerable moment to the next, and we found ourselves longingly counting the minutes until it was finally over. It's not the most miserable movie we've ever sat through, but it sure ain't a good one.